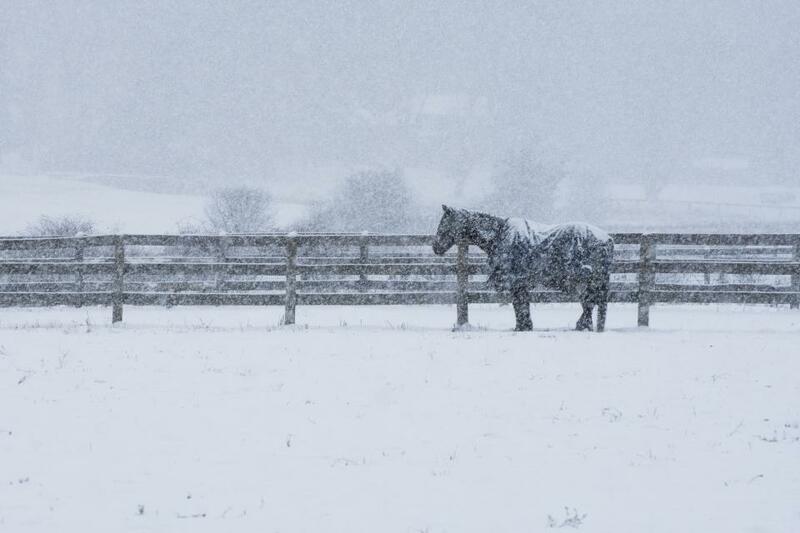 During a recent snow storm, I was able to capture this image from the local farm fields of a lone horse out in the storm. This photo was taken using a Nikon D7200 at 200mm (using the Nikon 70-200 f2.8 lens) at f/11, 1/320 sec and ISO 800. Great composition and light, AJ, especially fine that the shutter speed preserved the feel of falling snow.